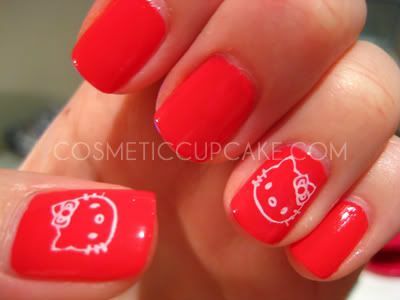 Cosmetic Cupcake: New polish crush and fauxnad GCOCL haul (including Hello Kitty)! New polish crush and fauxnad GCOCL haul (including Hello Kitty)! So 1st off I'll start off with my new crush on Essie polishes. I've been dying to try them but like everything in my life these days (HA!) I just haven't gotten around to it. 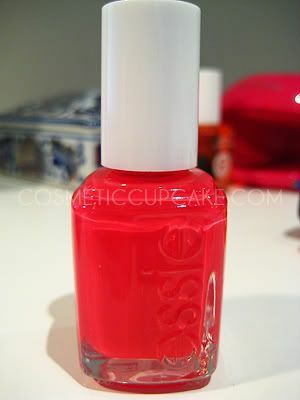 Essie's colour range looks awesome and I love their bottles, they're so cute! My local nail supply shop stocks a large range but only of the pinky/neutral/red shades as the owner says the brand isn't very popular in Aus as it doesn't have the recognition that China Glaze has here. I picked up 2 colours the other week - Red Hot Mama and Bike Ride. I tried Red Hot Mama today. Red Hot Mama is a gorgeous hot pinky/red colour. It went on like an absolute dream!! Opaque in only 2 coats it went on smoothly and dried quickly to a high gloss finish. Word of warning that this polish looks different in different lighting - sometimes more pink and others more red. Without topcoat - waiting to add nail art! I ordered a few GCOCL plates a few weeks ago and I finally recieved them last week! I've been dying to try them out =) I ordered quite a few plates as you can see below (I didn't intend for this many but due to a mix up I got HEAPS!) including the much hyped about A02 plate with the Hello Kitty image. I won't be keeping all the plates though as much as I'd like to as it's just waaay too many for me. 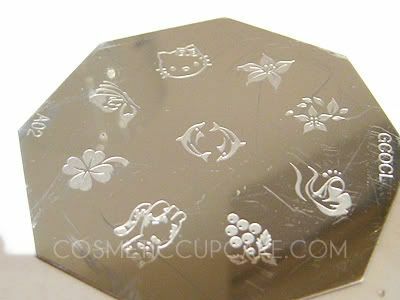 The plates look rather scratched as they have a thin protective plastic film over it which must be removed before stamping. I used OPI Alpine Snow to stamp the images which worked really well. I found the plate much easier to use than Konad to start off with and there's no need to use special Konad polishes. I did some test stamping with some old(er) Rimmel polishes and they came out clear and bold. I'll be posting up close up photos of the remaining plates in my next few posts so stay tuned! If you like reading my blog please follow me! 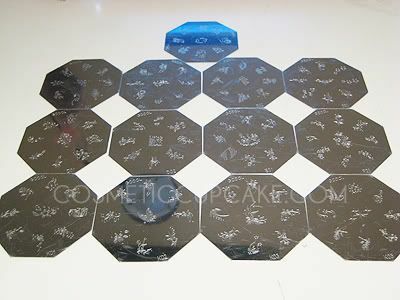 where can i buy GCOCL online??? @tkj81: There are a whole HEAP of sellers on ebay located in Hongkong/China you can purchase from! However I found not alot of sellers have plate A02 with Hello Kitty which was the one I wanted to try most so I purchased from www.edstrade.com. What's the number of the essie nail polish? @Anonymous: The number is 484. I hope that helps you!